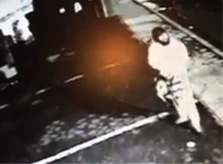 On May 24 at 10 p.m., police responded to a burglary call at the Route 59 Car Wash in West Nyack. The business was closed for the day and a witness reported suspicious people near the business. Two suspects were found inside the building with over $400 of stolen money. 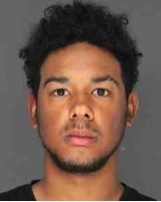 Nyack residents, 21-year-old John Carlos Veras, who was a former employee of the car wash, and 22-year-old Angel Gomez, were charged with burglary, larceny and criminal possession of stolen property. They were transferred to Rockland County Jail after arraignment with bails of $25,000 for Veras and $15,000 for Gomez. The business is co-owned by Chris Day, Republican candidate for supervisor of the Town of Orangetown. Day expressed his gratitude to Clarkstown Police Department investigators for solving the case. Due to construction, the northbound side of Route 304 at Monterrey Gardens in Bardonia will have a lane closure for two weeks. The Clarkstown Police Department asks drivers to avoid this heavy traffic area during construction. 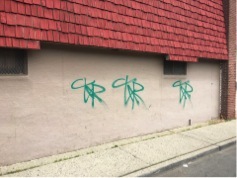 Two individuals were caught on a surveillance camera as they used green spray paint to vandalize locations throughout the Village of Haverstraw. The Haverstraw Police Department is asking for the community’s help in identifying the individuals. A video can be found on their department’s Facebook page. On the night of May 27, gun shots were fired near Jefferson St. in Haverstraw. After further investigation, police arrested 29-year-old Charles R. Williams of Spring Valley on May 28. He was charged with criminal possession of a weapon, obstructing government administration, resisting arrest, menacing and reckless endangerment. Williams was arraigned and is being held on bail to appear back in court later this week. 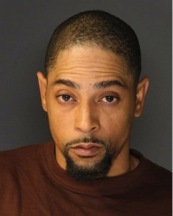 Police also arrested 31-year-old Elansio Cesaire of Spring Valley in connection with the gun shots heard on May 27. He was charged with obstructing government administration and resisting arrest. He was released on an appearance ticket and is due in court later this week. On May 24, 34-year-old Jason Parris of Nyack was arrested by Orangetown police at 11:55 a.m. He was stopped on Hudson Avenue for a traffic violation. After checking his license, it showed he had five suspensions on it. Police said Parris also possessed a gravity knife and a controlled substance. He was charged with criminal possession of a weapon, criminal possession of a controlled substance and aggravated unlicensed operation. Parris was arraigned and transported to Rockland County Jail with a bail of $2,500. 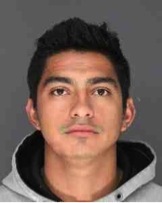 A 38-year-old Montebello resident was alleged to have violated an order of protection from an ex-girlfriend who resides in Suffern. In violation of the court order, the suspect continuously tried to contact the woman, said police. Suffern and Ramapo police responded to his residence where he fought with officers, resulting in the use of a taser on him. Due to his current standing of being under federal probation for a prior narcotics conviction, the man was remanded to county jail without bail. On May 30 at 2 a.m., 29-year-old Stephen Martinez was stopped for a traffic violation when he was found to have a suspended driver’s license due to a previous DWI. He was charged with aggravated unlicensed operation and released with traffic tickets.